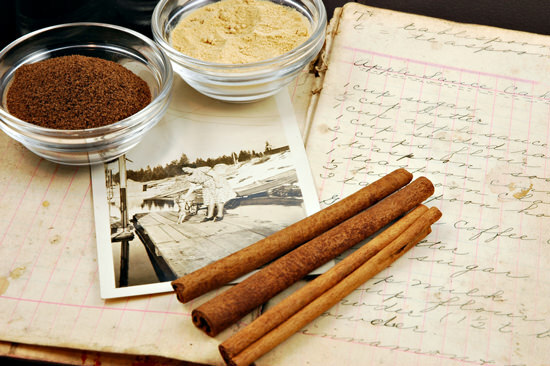 Prized for millenia for it’s delicious aroma and flavor, cinnamon is now being rediscovered by modern science for its incredible healing benefits. Made from the inner bark of a type of tree called Cinnamomum, cinnamon was once regarded as a gift fit for kings. Today, of cinnamon’s abundance and low-cost in supermarkets often make it something that many of us take for granted. Cassia cinnamon: This is the more common variety today, and is generally what you will find in stores. After cutting the stems off the cinnamomum tree, the woody parts are removed and the inner bark is extracted for processing to make cinnamon. It is then dried, forming strips that artfully curl into rolls that we call cinnamon sticks. These sticks can be used in their stick form, or ground into a powder to be added to recipes and even infused in water and boiled to make simmering potpourri. The oily component of cinnamon, with its distinct smell and flavor, is very high in a compound called cinnamaldehyde (2). Most of cinnamon’s powerful medicinal effects can be attributed to the Cinnamaldehyde content. antioxidant is to protect the body from oxidative damage caused by free radicals, and cinnamon is densely packed with powerful antioxidants, such as polyphenols (3, 4, 5). In a study that compared the antioxidant activity of 26 spices, cinnamon took the crown, outranking even “superfoods” like garlic and oregano (6). 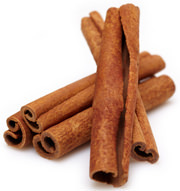 Cinnamon affords such powerful antioxidant properties that it can even be used as a natural food preservative (7). Inflammation is a method the body employs to fight infections and repair damaged tissues, but chronic inflammation is also a marker of disease. I would venture in saying that virtually all disease states in the body have an inflammatory component to them. Although it’s a subject for another article, my estimation is that inflammation is the result of excess free radicals in the body caused primarily by the consumption of unsaturated fats. If inflammation is caused by an excess of free radicals in the body, then cinnamon’s potent antioxidant effect can be useful to offset the consumption of unsaturated fats, which are particularly difficult to avoid in our culture. (8). The likely mechanism of this effect is the reduction in stress in the body (associated with an excess of free radicals) that occurs when a potent antioxidant like cinnamon works to neutralize free radicals and balance out the system. With all of these factors combined, it’s clear that the ingestion of cinnamon can drastically reduce the risk of heart disease. Insulin is a hormone critical for the regulation of blood sugar levels and energy production (metabolism). Many people are insulin resistant, meaning their insulin is less effective at doing its job. Like other medicinal substances such as caffeine, cinnamon can dramatically increase insulin sensitivity, boosting the body’s metabolic efficiency (13, 14). 1. By increasing the effectiveness of insulin, as discussed above, the body utilizes sugar for energy more efficiently. 2. A couple of studies have found that by interfering with numerous digestive enzymes, substances in cinnamon slow the breakdown of carbohydrates in the digestive tract. (15, 16). Since sugar is utilized by every cell of the body for energy production, I’m not convinced that this action is beneficial. 3. 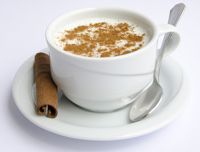 A compound in cinnamon seems to act on cells by mimicking insulin (17, 18). This beneficial effect will improve glucose utilization by cells directly improving metabolic efficiency. In various human trials, the anti-diabetic effects of cinnamon have been confirmed, demonstrating that it can lower fasting blood sugar levels by 10-29% (19, 20, 21). The effective dose to achieve the aforementioned effects with cinnamon is typically 1-6 grams of cinnamon per day (around 0.5-2 teaspoons). The loss of structure and function of brain cells is what neurobiology would consider a neurodegenerative disease. Of all the types that exist, Alzheimer’s disease and Parkinson’s disease are probably the most common types. One of the hallmarks of a person with Alzheimer’s disease seems to be the buildup of a protein in the brain named tau. 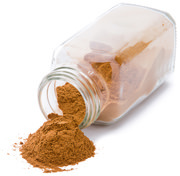 Two compounds found in cinnamon appear to inhibit the buildup of this protein (22, 23, 24). One study examined mice with Parkinson’s disease, and found that cinnamon helped to protect neurons, normalize neurotransmitter levels and improve motor function (25). Further research is needed in this area to determine whether or not these effects are also found in humans. Cinnamon has been studied extensively for its potential use in cancer prevention and for a potential cure. Cinnamon has reduced the growth of cancer cells and the formation of blood vessels within tumors themselves, and by way of its selective toxicity to cancer cells, cinnamon causes cancer cell death. The main medicinal ingredient in cinnamon, known as Cinnamaldehyde, features forceful antimicrobial activity. 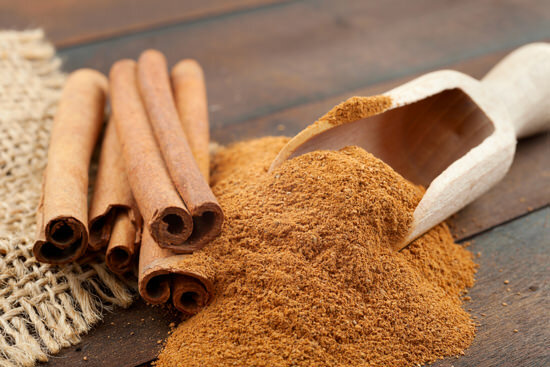 Cinnamon oil has been used to effectively treat respiratory tract fungal infections, and it can also inhibit the growth of certain types of bacteria, including Listeria and Salmonella (33, 34). Studies suggest that the antimicrobial effects of cinnamon may also help prevent tooth decay and reduce bad breath (35, 36, 37). The HIV virus is said to slowly break down the immune system, which can apparently lead to AIDS if untreated. Of this I am not convinced, and would like to make clear that it has never been proven. Although the concept of a virus is widely accepted around the world, what I think will eventually be recognized as truth is that the concept of an illusive and dangerous virus that is seeking to hijack our cells does not exist. Although it’s definitely a subject for another place and time, I think what we will eventually (re)discover, as evidenced by books such as Fear of the Invisible, is that the concept of a virus was developed so that companies producing chemicals would not be responsible for the damaging effects their chemicals have caused in humans and wildlife. In relation to HIV, the article Are Drugs, Rather than a Virus, the Cause of Aids? suggests that the toxicity of a popular drug in San Francisco’s homosexual community at the time called poppers, is what caused the body to produce what we call a virus. If this theory is correct, and evidence is heavy in its favor, then the mechanism by which the “AIDS virus” emerges in the body is that it is produced by the cell to help detoxify itself of the toxins contained within. Who would have thought that an article on Cinnamon would have gotten this heavy? As heavy and hard to swallow as all of that sounds, I think it’s very likely true. Let’s return to the original topic at hand! CINNAMON, and the mainstream view of HIV. In a laboratory setting, researchers studied 69 medicinal plants for their effects on HIV infected cells. The results showed that cinnamon was more effective than all 69 other medicinal plants studied (40). Not all cinnamon is therapeutically equal. A compound believed to be harmful in large doses, known as coumarin, is contained most abundantly in the Cassia variety. Studies have shown that Ceylon “true” cinnamon contains much less coumarin than the Cassia variety (41). Since most cinnamon found in supermarkets is the Cassia variety, take a trip to your local health food store to get yourself some Ceylon cinnamon. If for whatever reason you can’t acquire Ceylon cinnamon, stick to small doses (no more than 0.5-2 teaspoons a day) if you’re using the Cassia variety. Cinnamon is one of the most delicious, aromatic and curative spices in the world. The list of benefits as summarized in this article are vast and impressive. Isn’t it time you start utilizing cinnamon to improve your health and increase the quality of your life?